Manufacturer of a wide range of products which include gherkin processing plant, fruit grading machine and gherkin grading machine. Our organization has successfully expanded its business in market owing to the offered elevated quality array of Gherkin Processing Plant that is extensively used for grading, sorting, cleaning & packing. The offered equipment is manufactured utilizing superior quality raw material and latest technology. Moreover, a team of our quality controllers conducts a series of quality tests on the entire range to seek out any possible defect. In tune with industry standard, we provide this equipment in various customized options and industrial leading prices. Feeding Elevator to Grading Machine. Dry Culling Inspection Belt Conveyor. Wet Culling Inspection Belt Conveyor. Packing Elevator for Packing in to Drum or Barrel. Sujay Industries offer wide range of Grading Machine for feeding Gherkin, Vegetables and Fruits to the elevated height for further processing. 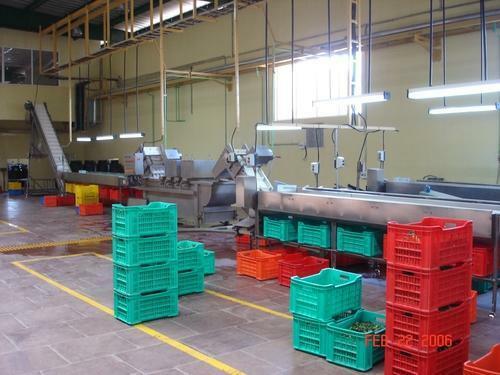 Owing to our expertise we are engaged in offering an excellent range of Grading Machine for fruits and vegetables. The offered products is manufactured using Grade components under the Professional Guidance. This Machine is extensively demanded in the market due to its compact design, reliable performance, less maintenance, hassle free operation and longer functional life. 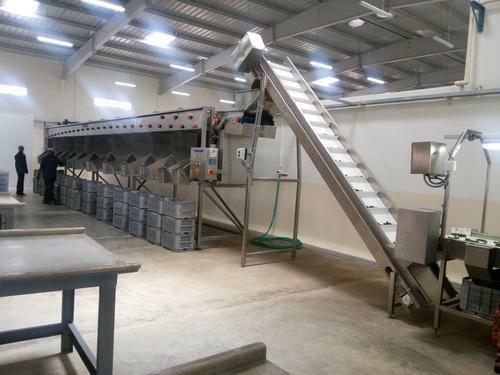 Available in various technical specifications, this feeding elevator can be customised as per the specifications laid down by the clients. SS 304 or SS 316 as per Customers requirement. To meet the diversified demands of our esteemed consumers, we are engaged in offering optimum quality Gherkin Grader with Conveyor System especially utilized in all Gherkin processing industries for grading 300+,250+,200+,160+, 80+,60+,30+ and 30-, grades of gherkin, capacity 2 to 3 ton per hour, 95% accuracy in grade, Made out of SS 304 food grade steel.Main advantage of this grading machine is grading by high quality PU rope sustaining against water, acid, salt water etc,. Increasing longer life to the machine. 8 to 10 collection chutes provided in order to segregate more grades.Sujay Industries also manufacturing grading machine for food, pharma, agri, frozen processing sectors for segregating numerous grades or sizes of vegetables and fruits. This machine is designed using the latest technology and utmost quality components at our hi-tech manufacturing unit. Moreover, our customers can avail this Gherkin Grader with Conveyor System from us in various technical specifications at market leading prices. 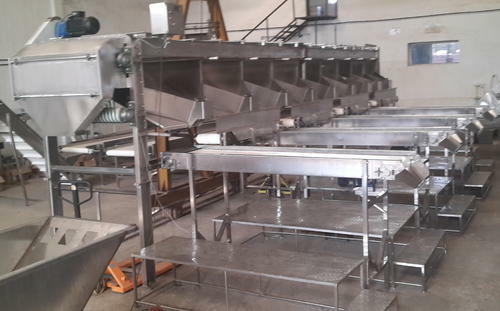 Looking for “Gherkin Processing Machinery”?